The elated feeling that comes from being asked by the person you love most to spend a lifetime of happiness together is unlike any other! Savor that feeling as long as possible! When you do start to come down from cloud nine, the task of planning your wedding can seem overwhelming. You can feel like you’re drowning in all the wedding websites, instagram accounts and magazines. Most couples have trouble knowing exactly where to start, so before you lose yourself in a pinterest wormhole here are the first few steps you need to know! 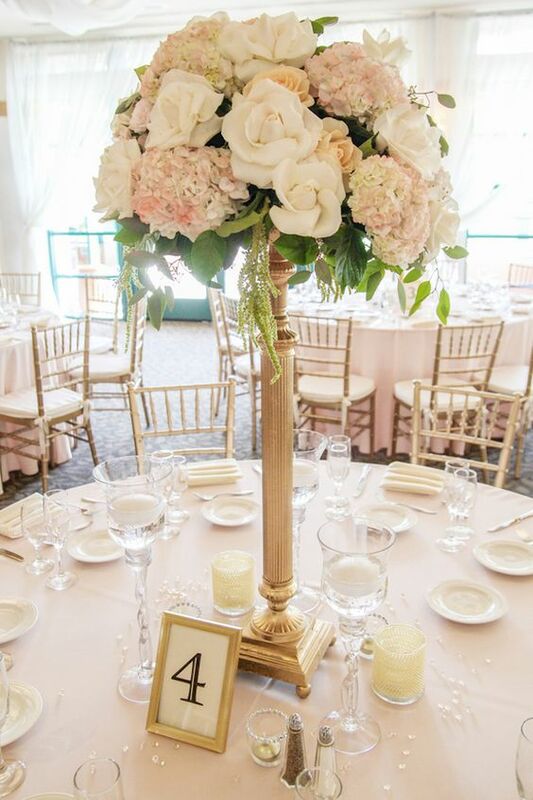 Decide on a budget - Before you start booking vendors, you and your partner should sit down and decide how much you are able to spend on this exciting celebration of your love. Have a conversation about what is most important to you; if you are both big foodies, then maybe you want to put more resources into having fun late night snacks in addition to the dinner, or if you’re passionate about a certain music style, maybe you want to spend more on a high quality band that will deliver on that specific taste, or maybe you’re really excited to send guests home with cute personalized favors. Be sure to include family in this conversation even though the traditional breakdown of who pays for what has dwindled over the years. Talk to you parents about what they are willing and able to contribute. And remember, a beautiful and meaningful wedding is not determined by the budget! 2. Pick a date - More goes into picking a date than you may think. 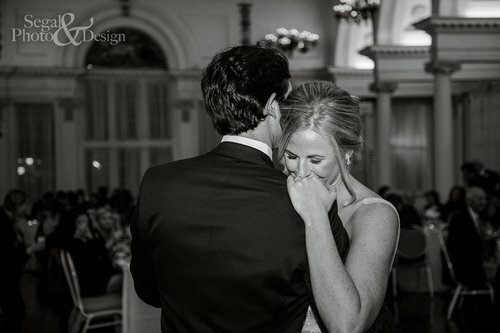 Start by talking about how you envision the day; if you’ve always dreamt of a lakeside ceremony then you probably should select a date with fairly reliable weather, if you’re a sucker for the coziness of the holiday season then you may want to consider a winter wedding. Budget plays a role in this decision too. Because wedding vendors are in high demand from May to October, so their rates are generally higher during these months. One way to save money is to select and off-season date, or even less popular day of the week. Since Saturdays tend to be the most popular day of the week to get married, some vendors will offer discounts for weddings on weekdays. You may also need to consider when it would be most convenient for you and your fiancé to take time off from work and how long you feel you need to plan the wedding of your dreams. 3. Select a venue - The venue should be the first contract you sign, because their availability could potentially alter your date selection (it helps to go in with a couple dates in mind). Again, there’s a lot to think about when looking for a venue. You want to find a place where you would feel comfortable getting married, a place that reflects the style of you and your fiance. 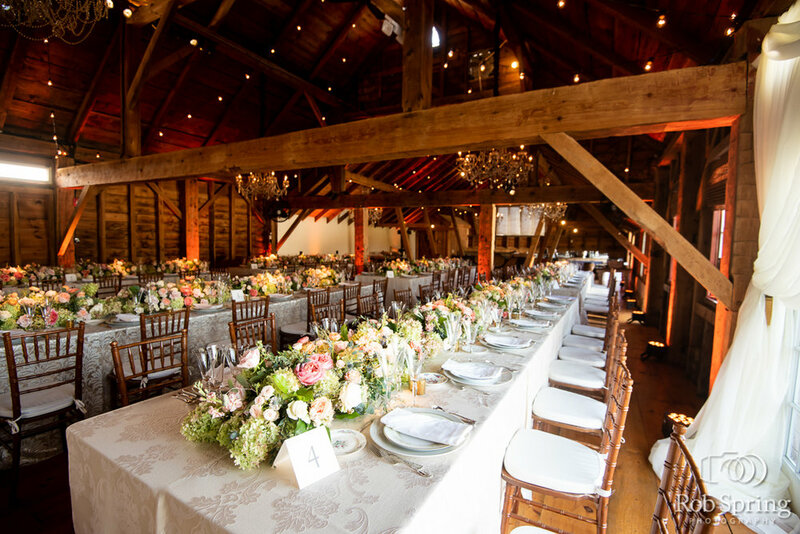 Are you a barn wedding couple with a rustic vibe? Or do you prefer the more elegant aesthetic that comes with a large ballroom with marble floors and high ceilings? You’ll also have to consider if your venue will be large enough for the number of guests you expect to invite. If you want to have an outdoor ceremony or reception, consider a venue that has rain locations or accomodations available. Ultimately, you want to choose the venue that gives you butterflies when you think of getting married there. Once you have tackled those three to do list items, you’re in good shape to start researching and booking vendors! Even if it still seems like a lot, having somewhere to start when turning to wedding planning tools and resources makes finding what you need that much easier. And if you’re still feeling overwhelmed you can always turn to the help of a wedding planner who can walk you through each step and alleviate the pressure! Happy planning! Happy National Wedding Planning Day!!! In celebration of such an exciting holiday, we here at Bisou thought it would be appropriate to share more about what it is exactly that we do! 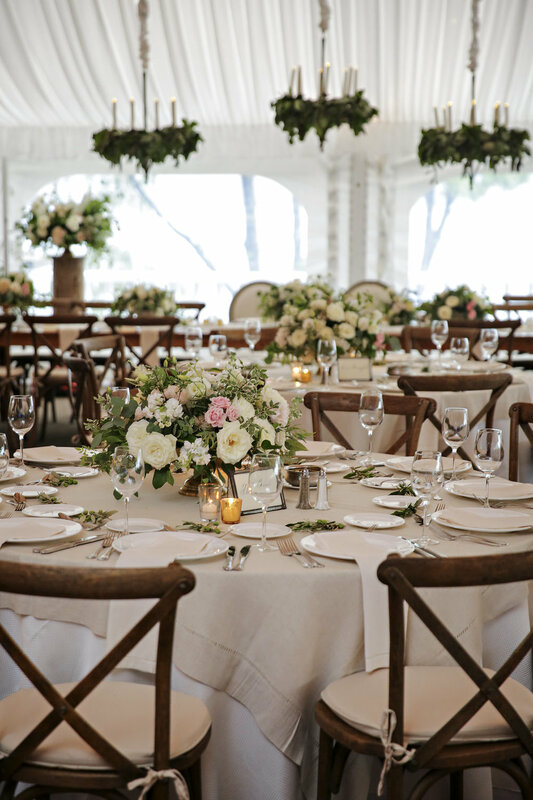 Wedding planning can be a stressful and overwhelming process, but it doesn't have to be. One of the best ways to alleviate stress and fully enjoy the months leading up to the big day, is to hire a wedding planner. 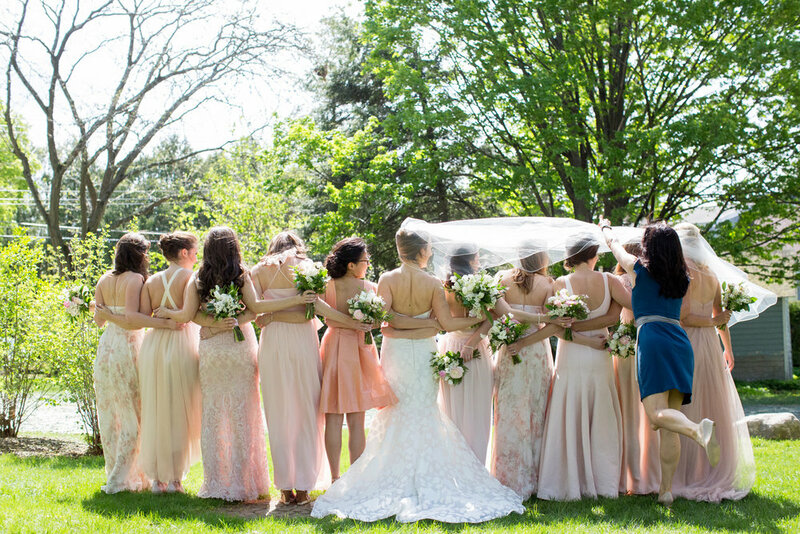 Here are just five of the many reasons why hiring a wedding planner is a really good decision! 1. Being engaged is an incredible feeling and a unique time for you and your partner. Why would you want to spend that time stressing over decisions and details that could be handled by someone else? Hiring a wedding planner allows for you and your partner to focus on the commitment you're making to each other rather than what time the flowers need to be delivered the day of. 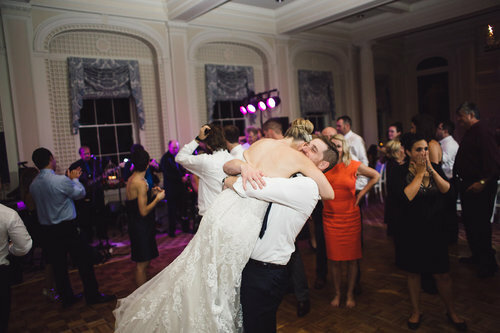 So let yourself revel in the excitement and giddiness of your evolving love and leave the details to a professional! 2. While you may have spent many hours on a beautiful wedding Pinterest board, bringing that Pinterest board to life is a whole other story. A wedding planner can help you figure out how to make those fantasies come to life. They will know what is and is not realistic and how to make each idea fit together cohesively. So before you spend countless hours attempting absurd DIY projects that don't fit together aesthetically, you can consult with someone who has extensive experience and knowledge of what works and what does not! 3. 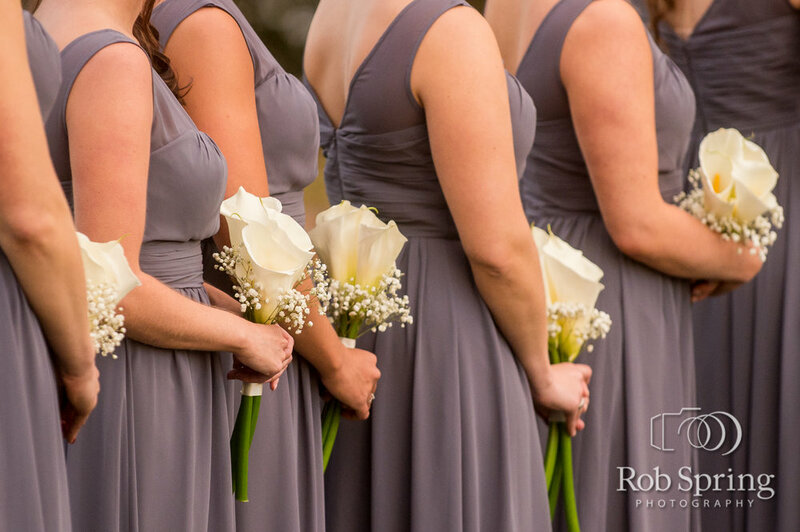 While you may have a friend from college who took a class in photography, chances are you do not have the same connections to quality and professional vendors that a wedding planner does. The wedding planning business is a close knit community, and a wedding planner will know from experience which vendors are great to work with and which are not. Here at Bisou, we know who is the best of the best and who will end up being problematic. Rather than creating more stress for yourself by hiring a vendor who will be a nightmare to work with, you have someone who is able to steal you away from those vendors in the first place. 4. On your wedding day, the only thing you should be focused on is marrying the love of your life and treasuring every moment of that special day. What you don't want to be doing is fielding calls and checking in with vendors to make sure everything is running smoothly and happening on time. That's our job! We create and distribute a detailed day of timeline complete with contact information and all to all of the vendors and keep things on track while you celebrate with friends and family! 5. At the end of the day, you simply can't account for every possible incident. But, you can have a wedding planner available to handle any and all incidents on the spot! At Bisou, we are quick on our feet and good at on the spot problem solving. 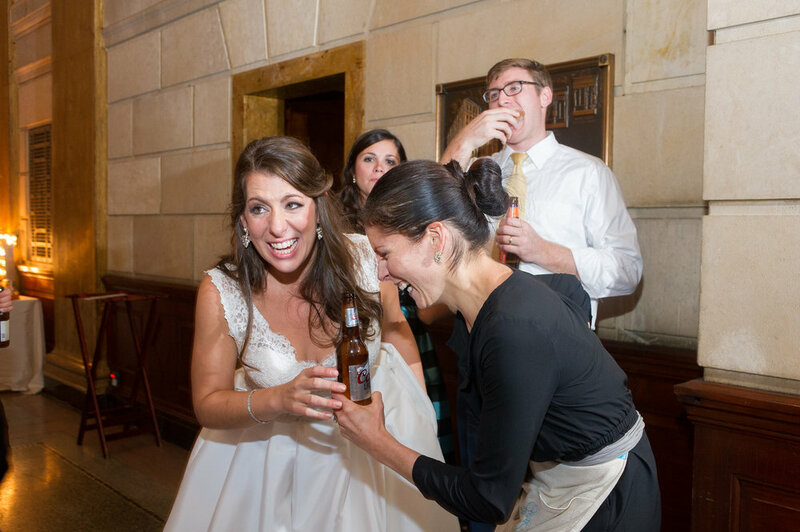 How could you possibly predict that your maid of honor would get heartburn right before her speech, or that one of the buttons would pop of your dress when you're trying to bustle it for the reception? There is enough to think about on your wedding day than unlikely snafus such as these, but a wedding planner would be able to take care of these things before you were even aware there was a problem! Your wedding day should be pure bliss. If you walk away believing that to be true, then your wedding planner has done their job well. 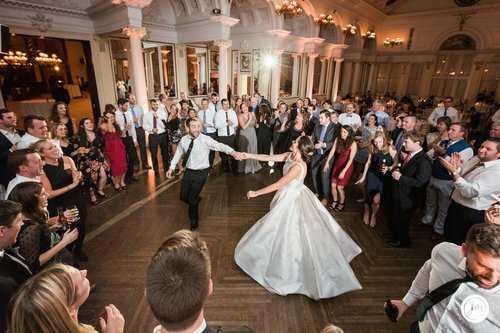 You deserve to enjoy the little moments and joys throughout the whole wedding planning process and day of, and we don't want anything distracting you from those magical moments. We wish you all a happy National Wedding Planning Day! It’s the holiday that spreads a little love and a little warmth into each cold February; Valentine's Day. While many may view this holiday as commercial or cheesy, here at Bisou we celebrate Valentine’s Day by reminding our loved ones how much they really mean to us! For some couples, there is no better day than Valentine’s Day to commit to one another in love and marriage. 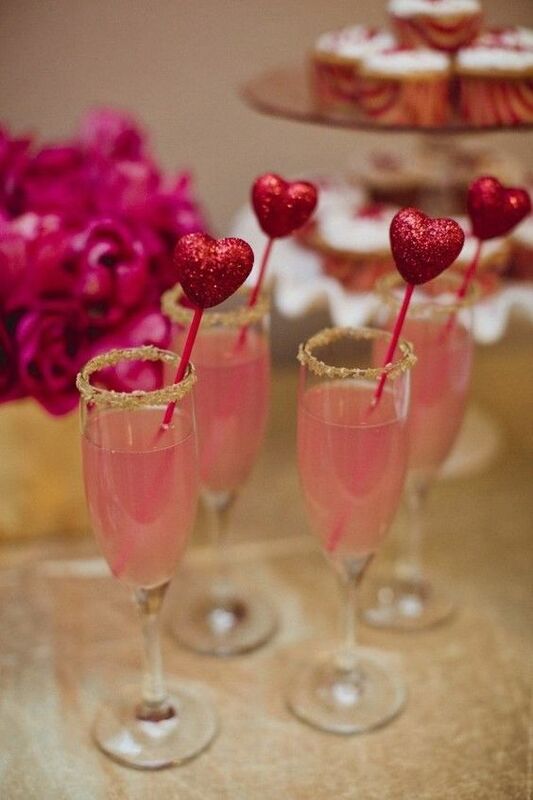 Here are some of our favorite Valentines inspired wedding ideas! Make a statement before your guests even get to the party with a unique, personalized seating chart or place cards! Using a glass of champagne or your selected wedding favors to help guests find their seat is a fun way to kick off the night. Here are a few thoughtful, creative and easy to decipher seating ideas that your guests will certainly appreciate! This photo shoot is the perfect inspiration for a modern botanical garden wedding. Where do I sign up?! 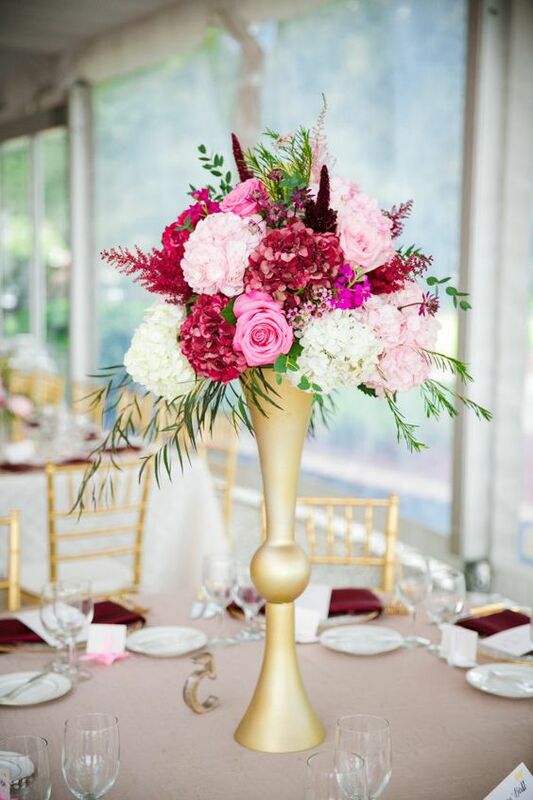 The dramatic bouquet, pops of color, fun with unusual combinations is certain to make your heart skip a beat! I especially love the greenery in combination with bold shades of blue, hot magenta, and black. With another new month in another new year, comes another new Bisou couple of the month. 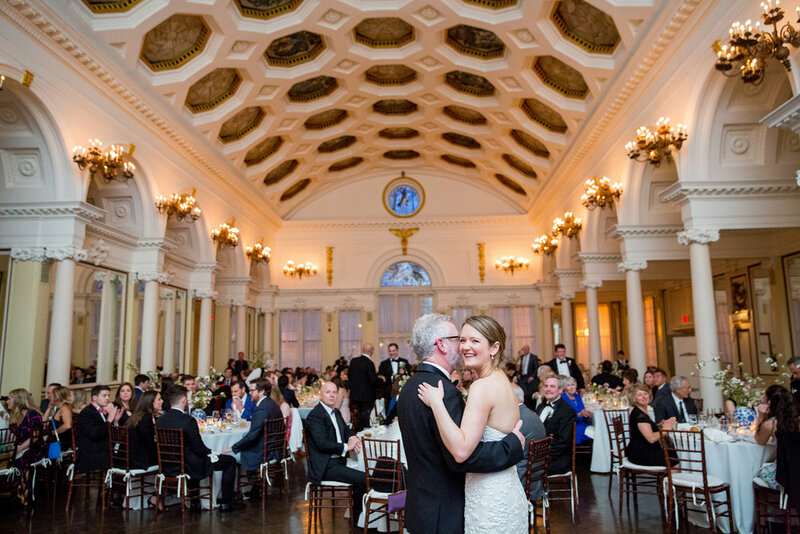 This February we think back to beautiful fall weather and the happiest of days for Jeana and Kevin at their chic, intimate Fort William Henry Wedding. 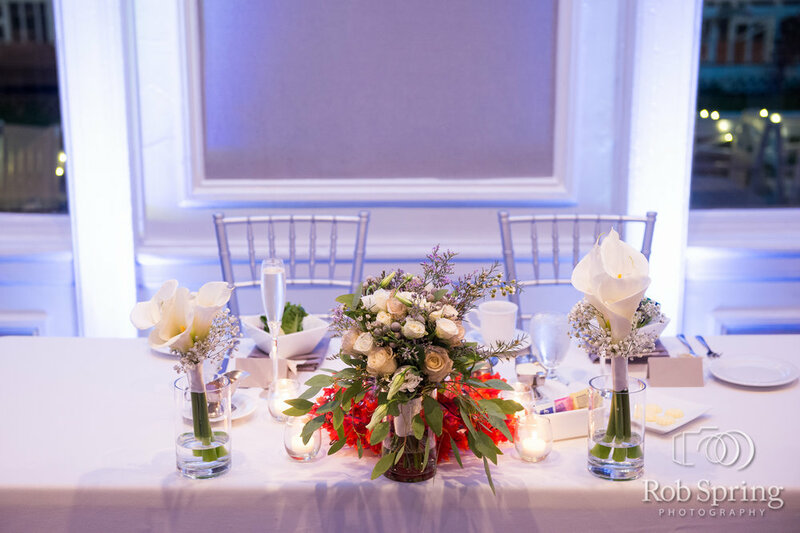 Elegant white calla lillies accompanied fall-inspired burnt orange and lavender decor. How stunning! 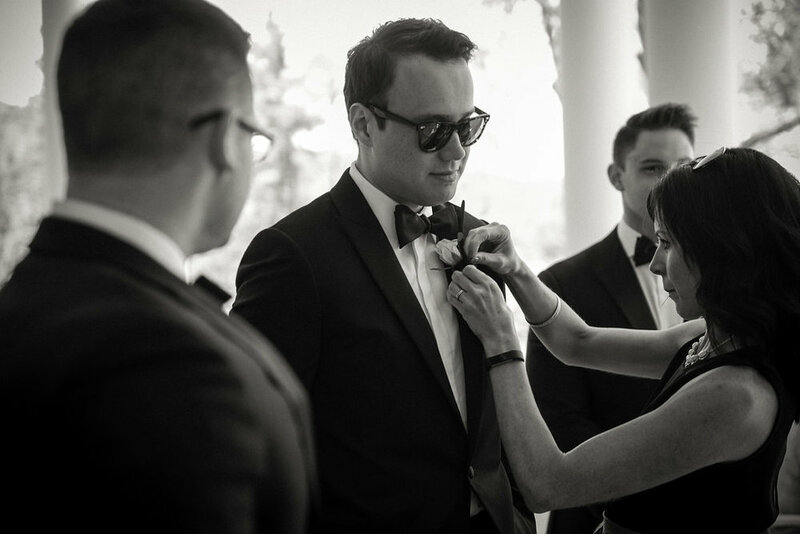 A lot goes on behind the scenes on your wedding day. If you have a wedding planner or day-of wedding coordinator, hopefully you won't be the one dealing with all the little details! Their are all of the vendors: maybe a DJ, band, florist, photographer, videographer, hair/make-up, cake, bar services, each one with specific supplies and needs. Not to mention the bridal party and groomsmen's needs, and keeping everyone and everything on schedule. That is exactly what we at Bisou are for. We take care of the thousand little questions and concerns that pop up, we hold the bride's dress between photo shoots, and make sure your perfect day ultimately goes off without a hitch! For most brides, they want everything to be perfect, especially their looks. One of the most important aspects that make up the bride's look is her hairstyle. 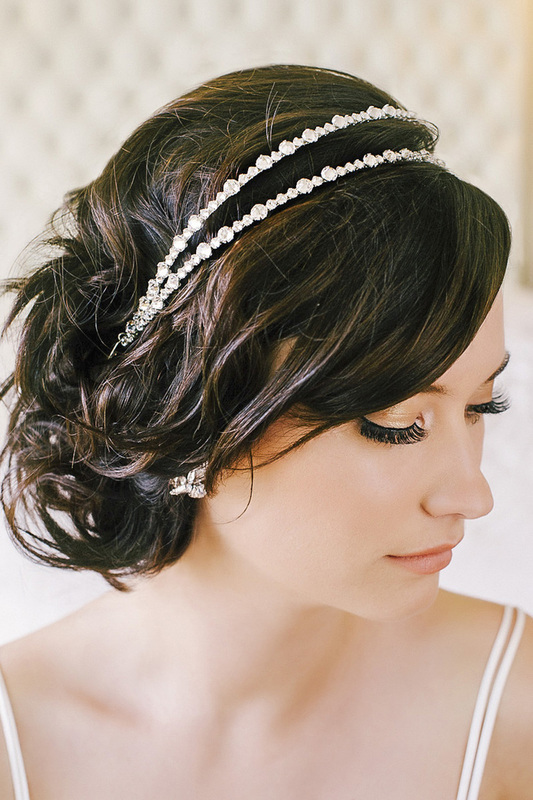 When choosing a hairstyle, consider incorporating a headpiece for your big day. 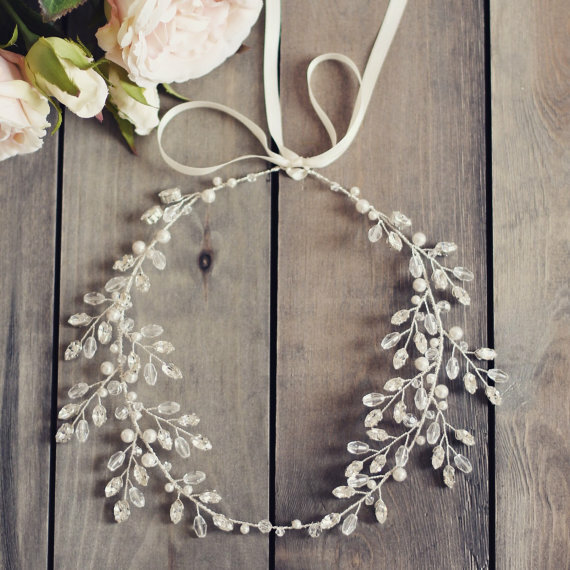 There is no other way but to try them on and find the perfect one for your wedding theme, ranging from bohemian halos, romantic floral combs, to a headband/belt with a art deco inspired motif! Guest Book or Guest Bench? 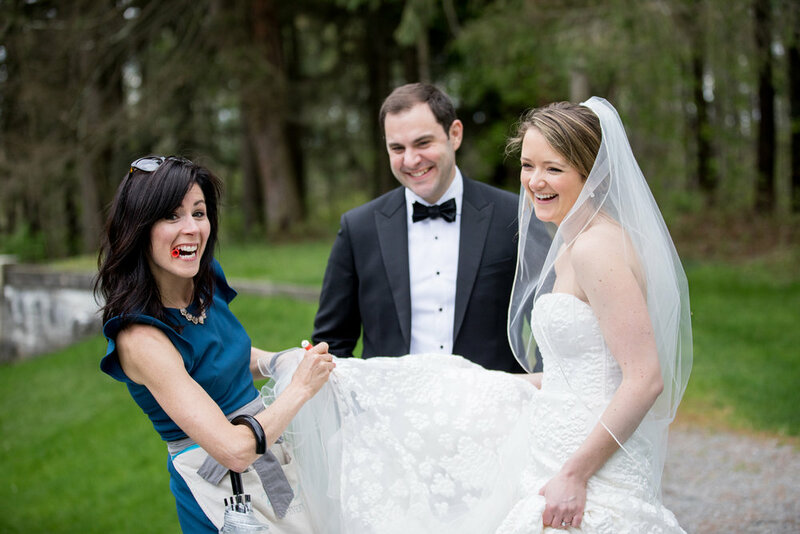 At Bisou, we love couples who take a personalized spin on a traditional wedding formalities. Take the guest book, for instance. Historically, everyone who attended a wedding were to actually be witnesses of the union and they had to sign the marriage document. When that was no longer required, the guest book popped up and became a wonderful reminder for the married couple of who attended their wedding celebrations. Bisou couple Jamie and Tom decided to have their loved ones sign a bench, something that they can physically and emotionally revisit everyday.